Send me a note if you're going to fanime this year! This is a totally cool idea! This morning, shortly after eleven o'clock, comedy struck this little house in Dibley. Sudden. Violent. Comedy. Find me in Artist's Alley 2011! There's mine Random drawings and photo's. That's all . Here's mine, it's actually a shared account with my sister, and it has most our crafty goods we've made so far. Most of which we will be bringing to our table at Artist Alley this year. 8D Feel free to check out our DA or our table! 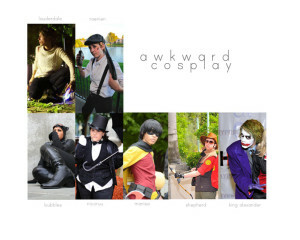 Contains mostly cosplay. Has very few humor photos, artwork, and piano pieces.